The sharing space for My Red Truck Designs. In Transition . . . I've been having issues with updating my blog due to some technical issues. So due to this, I'm transitioning to Facebook. I know not everyone is on "the book" so I'm working on launching a website as well. I'm on Facebook as My Red Truck Designs and up date this several times a day. 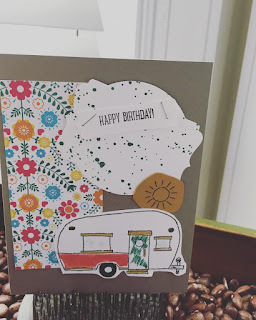 In addition I'm working on a newsletter so you can see where my truck is traveling to, what crafty goodness I'm up to and what adventures I've gotten myself into! Check back as obviously I have a lot in the works! Don't ever underestimate the power of sending a card! Just think what a little bright ray of sunshine could be waiting for someone in their mailbox! For example look at the cute card below. Stay tuned for ways you can get and keep snail mail alive! 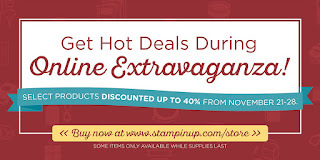 Stampin' Up has launched their Occasions and Sale-A-Bration Catalogs! 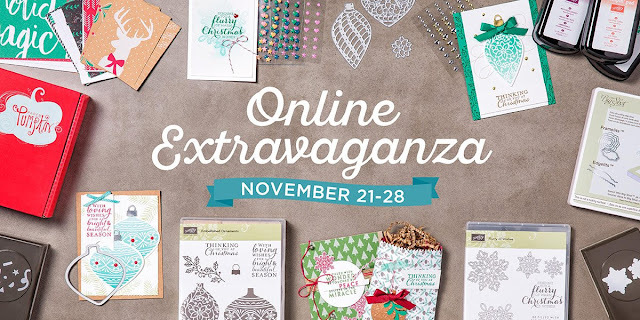 Which means for every $50 you spend you get a free product from the Sale-A-Bration catalog. These items are only around until March and then they are gone. It's a great time to stock up on paper and other supplies and get access to free products. Contact me to learn more! 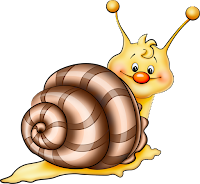 In addition I'm launching a #Snail Mail campaign for 2017! Stay tuned for something new each month. As with the rest of the world, January is a great time to restart. I'm hoping to get back to hand written correspondence. I know personally I get great joy out of getting a card in the mail! For the 12 Days of Christmas!!! 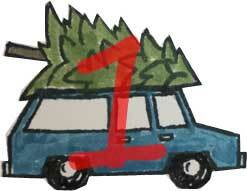 My Red truck gave to me . . . . .a great way to get something free! I love getting mail which is part of the reason I make cards, so others can have fun getting that something extra special in the mail too! So in the spirit of the holidays (and yes to promote my card-making hobby/business), I'm giving away cards for 12 days (starting December 8th - December 20th 2016). Please put free cards in the subject line. Make sure you include your mailing address (this won't be shared). I will send you a card that you can either keep or send to someone special. An envelope will be included. It's my pick however if you're looking for something specific please let me know and I will try to make it fit the occasion. Okay . . .I know you are thinking nothing is free right? Well the only condition is to keep the business card that is attached to the back of the card. Wait I would like more than one free card please!! To get a second card you can go to my Facebook page. If the link doesn't work you can try searching MyRedTruckDesigns on Facebook.. Like my page and post in the comments section under the 12 days give away post. I'll send you a second one. Sorry but two freebies is all I can do. 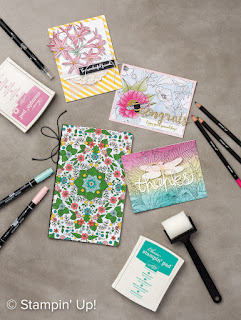 Let's keep the joy of snail mail going! I've been wanting to try a shaker card with the Jar of Cheer set. As predicted it is one of my favorite sets! It coordinates with the Jar of Love bundle. At the last card club meeting we made a fun shaker tag. But this could easily be converted to a card. The assemble is a bit tricky but well worth it! I've broken down the steps here for you. Cut out using big shot: One jar with inside cut out and one jar just the outside cut. Reserve the blank inside of the jar - this will become the sentiment tag. Stamp the tree on the inside of the jar (this is the back) and Merry on the extra piece that was the inside of the card. Glue clear window sheet onto wrong side of jar. Build up the sides of the jar with foam strips. You will want to use as little strips as possible. I started with a strip for the top and the bottom them filled in my sides. Pour your "snow" into the area built up. Then remove the backing on the foam strips. It's important not expose the adhesive on the strips before pouring in your snow as it will stick to the strips and you want get a good seal. **Note: It's easy to want to really fill your area with glitter however you need to provide room for the glitter to move. Resist the urge to over fill! In my imaginary Red truck I can haul all sorts of Things! I seem to have my hand in many cookie jars these days. This blog allows me to share my creations and life experiences as well as showcase some new endeavors. Come ride with me in my red truck, there is plenty of room!